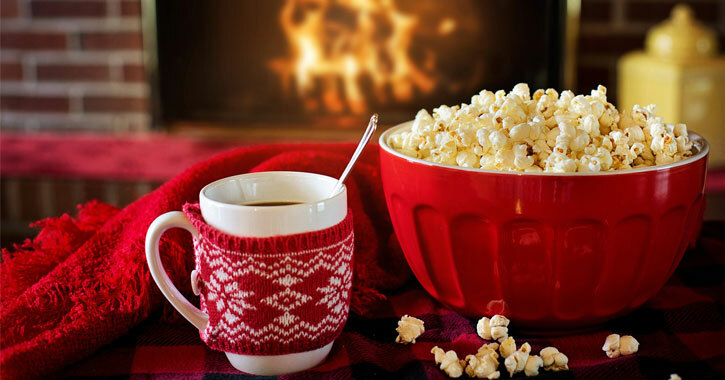 Have A Stressless Holiday in Clifton Park With These Tips! The holiday season is meant to be a time of love, appreciation, and joy. Nothing can kill all of these emotions quicker than stress and anxiety. And, unfortunately, the holidays can be some one of the most stressful times of the year, whether you live in Clifton Park or in the California sunshine. However, achieving an easy and enjoyable holiday is possible by keeping just a few tips in mind! The number one way you can control your holiday stress: plan ahead! Knowing what you want and what you need to do before the holiday comes up will give you the leisure to do everything the way you want it, work at your own pace without rushing, and be satisfied with the results. Make lists and keep everything documented – your goals, ideas, gifts, etc. Cook food ahead of time and freeze it. Be sure to send your holiday cards early. If you start feeling overwhelmed, delegate responsibilities to the family. Keep your lists and notes to make the next year easier. When shopping or dealing with money in general, it is essential to make a plan beforehand. A list can help you catch yourself spending too much, and from there you can decide which gifts and prices are unnecessary and extravagant. If you have a large extended family, consider organizing a Secret Santa so that each family buys for one other family, or for just one person. Everyone will still be giving and receiving, and everybody will save. For your shopping trip, start early and do not rush! Sometimes taking a set amount of cash and promising not to use the credit card can help. Also, when you are done buying everything on your list, go home. Advertisements and stores are constantly trying to draw in more buyers, and the longer you dally after a spree, the more likely you are to keep spending. Besides, you still have a lot of wrapping to do – better go home and start early on it! When you eat well you feel good, and when you feel good, you look good! We all like to maintain a routine, healthy eating plan. However, the holidays always seem to disrupt this pattern with baked goods, parties, candy, and excessive indulgence. Believe it or not, there are several healthy and satisfying food options for both cooks and guests during the holiday season. There are hundreds of recipes, books, and online sites with healthy alternative recipes for chefs of all skill levels. Putting in the extra effort to be completely healthy or at least offer less fattening alternatives will be highly appreciated by all your guests. Outside of the kitchen, it can seem very difficult to find healthy choices amidst the tantalizing array of party and junk food. Avoid the cheeseballs and indulge instead in succulent shrimp (how often do you eat that outside of the holidays? ), uncooked vegetables, hummus, and other satisfying delights. If you are a guest, it is your responsiblity to politely identify your options. Keep in mind, you don't want to be that demanding person who insists on only healthy food. Never comment on other guests' food intake or choices - this is about you and your body, not theirs. But also, don't be afraid to indulge yourself every now and then. It is the holiday season, after all, and allowing yourself a treat once in awhile can help curb complete binges. In the end, the holidays aren't about gifts, food, money, or planning every little detail. The holidays are all about the nostalgia, the warmth, and the peaceful time to be with your loved ones. Throughout your stress-relieving journey to create the best possible holiday season, remember the overarching key to the season: have fun. Remember what this holiday means to you, and always keep that in mind.